Some relatives gave us a pumpkin shaped cake pan so we plan to make a cake with it. My 4 year old is all about baking and helping in the kitchen so this should be fun. This is one of my favorite places! Apple Holler is an apple orchard and farm park just over the border in Wisconsin (about a 30 minute drive for us). I used to bring my kids when we would visit our family here and am excited that we can now go whenever we want. 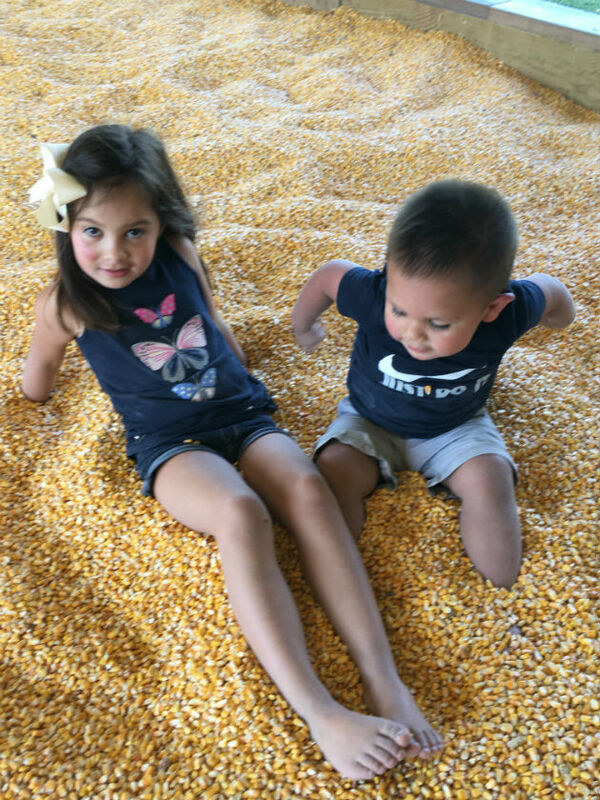 My kids like the farmyard park complete with goats, chickens, bunnies, ponies, slides, and lots of other farm activities. 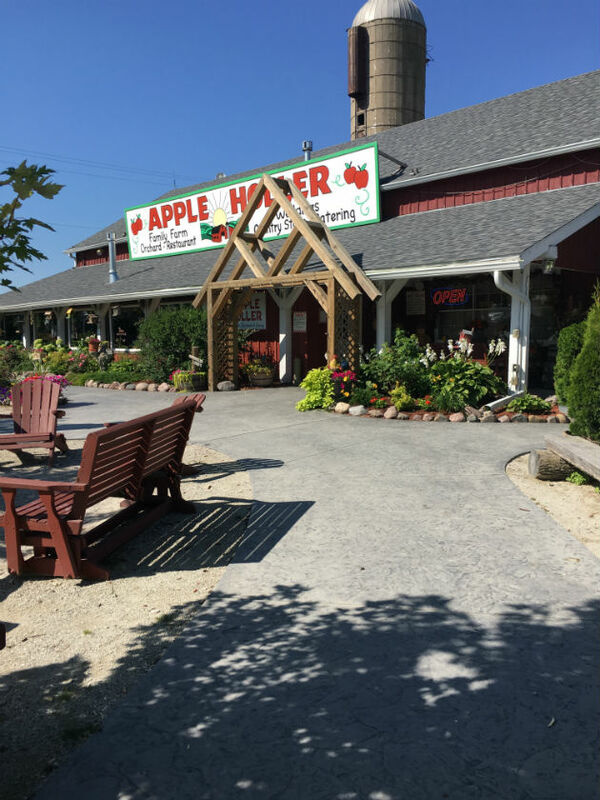 Apple Holler has a cute little store and a restaurant (we haven't tried the restaurant yet). One year while visiting over Christmas, we came and did a sleigh ride and had a bonfire. We have visited once so far this Fall and I'm sure we will be back again. 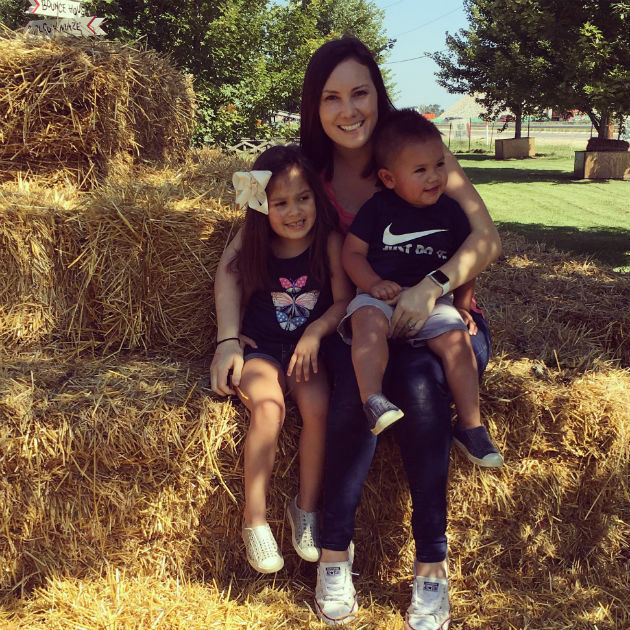 Country Bumpkin is a fun little pumpkin patch in the area that I have heard is cute! 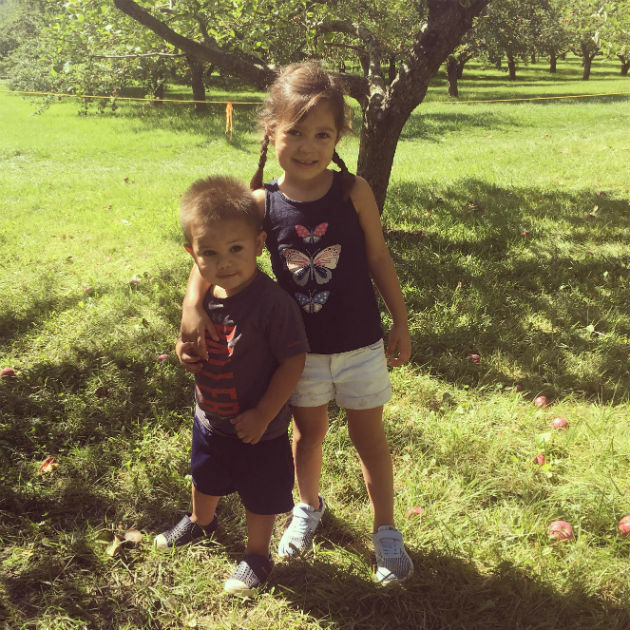 We love a good pumpkin patch so we are excited to try a new one out this year (since we live in a new state). I found this idea on pinterest and thought it was cute. Plus, my in-laws love Halloween and now that we don't live by them I thought it would be a fun thing to do. I'm planning to take pictures of the kids in their Halloween costumes and then send halloween cards out. Since our Christmas cards will go out a month or so later, I thought I would keep it simple and just send them to family. I thought it would be fun to have a little halloween movie night complete with snacks for our kids. Now I just need to find halloween movies that my 2 and 4 year olds would enjoy. If you have any that your little kids love, please let me know! Who doesn't love to decorate cookies?!? This is something I thought I would let my husband do with the kids (and I will watch haha)! I know they will love this, especially seeing their pumpkins lit up outside. We did this one last Friday and loved it so I think we will be back. Our town has this cute little family run orchard. 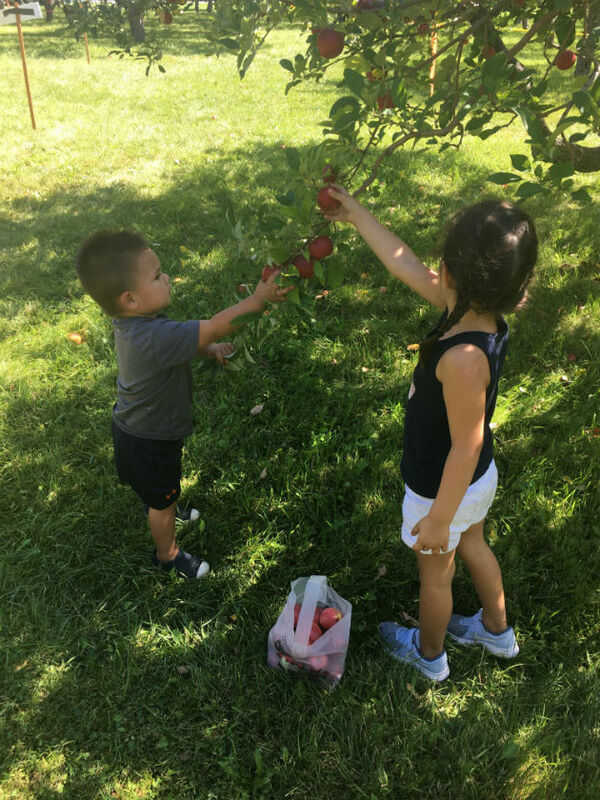 It is no frills and just an orchard with an easy up where you pay at the entrance and then go pick, but I thought it was perfect and my kids loved it. 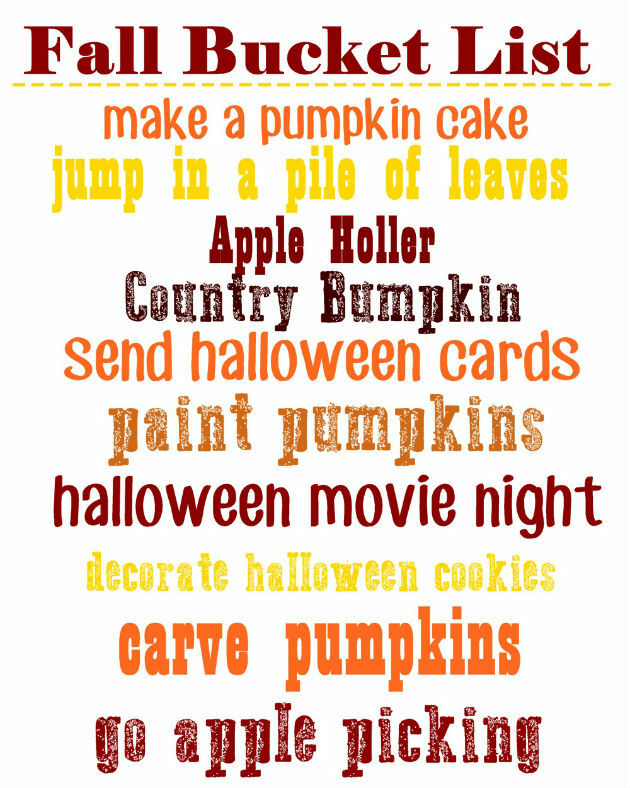 What's on your Fall Bucket List?! 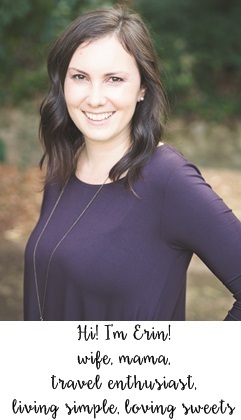 I am always looking for other ideas!